CASA Fundraiser & Anniversary | Compact Industries, Inc. Compact Industries, Inc. was proud to support CASA of Kane County (Court Appointed Special Advocates) by attending its fundraiser and 30th anniversary party. 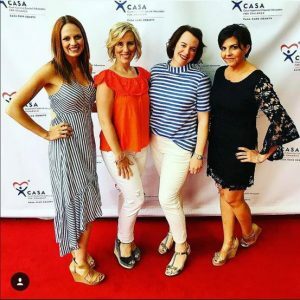 CASA of Kane County is a non-profit volunteer organization that advocates for the best interests of abused and neglected children within the juvenile court system. CASA recruits, trains and supervises community volunteers to advocate for the best interests of abused, neglected and private guardianship minors under the age of 21. Meeting the needs of children is CASA’s number one priority.